Yesterday afternoon I had a couple of jobs to do around the house and as well as a cake to bake for the evening. It should have been easy to get everything done in time but the trouble is I’m a bit of a Wimbledon addict, so of course I got sucked in to watching the tennis all afternoon instead! As soon as it was done my lovely sister-in-law called which was great, but then all of a sudden it was 5.15 and I hadn’t done any of the things I planned! 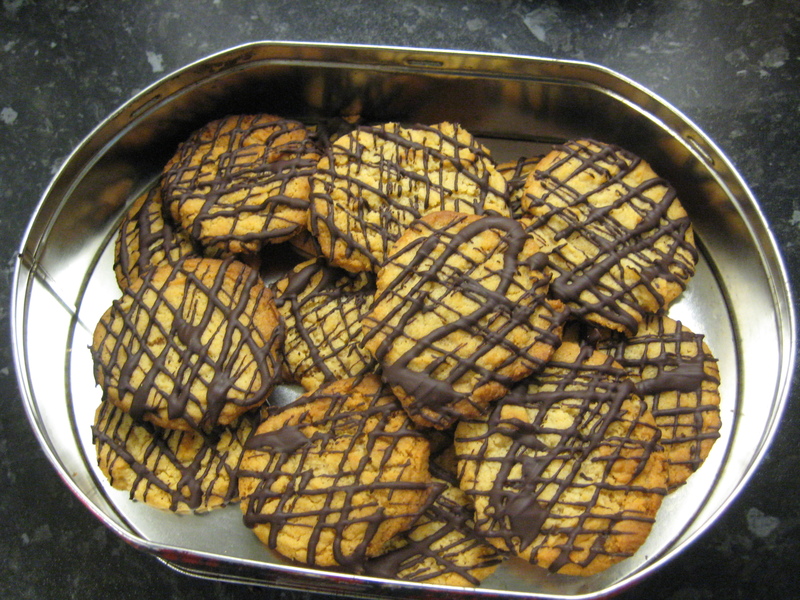 So I had a quick rethink and went for baking these super quick biscuits instead of a cake. 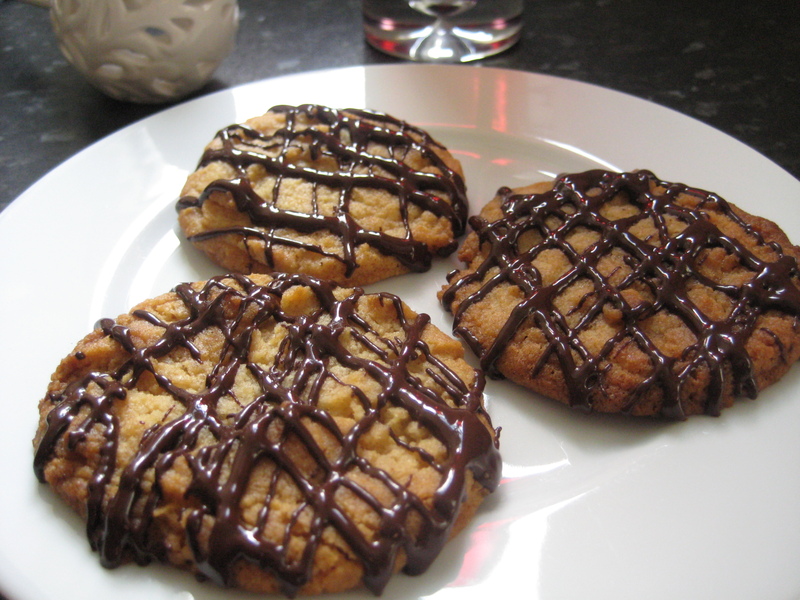 Chocolate and Ginger Biscuits anyone? All you do is melt the butter and syrup (I do it in the microwave) and then stir all the ingredients apart from the chocolate together. Spoon the mixture onto a couple of baking trays (leaving room for the biscuits to spread) and pop in the oven for 12 minutes. They come out golden and kind of soft looking but leave them to cool on the tray and they will firm up. I melted the chocolate in a bowl over another bowl of boiling water and went off to do the vacuuming whilst everything baked/melted. 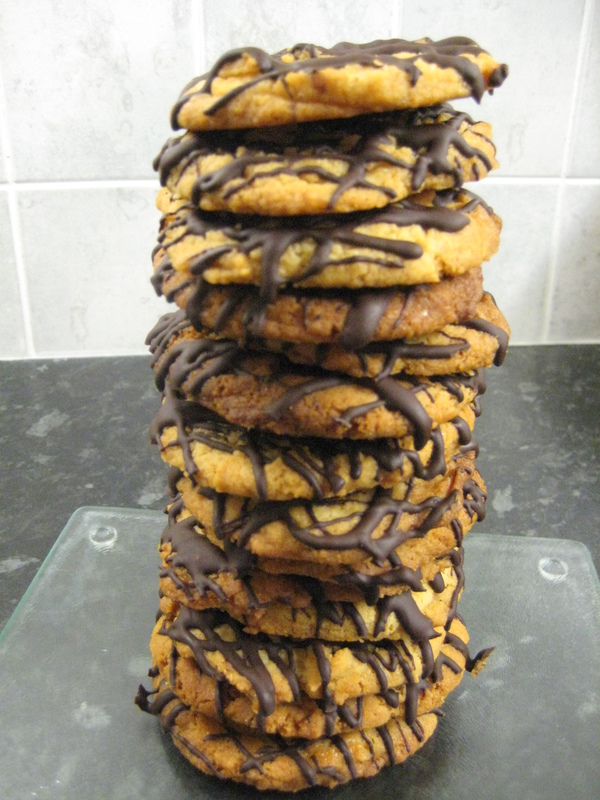 Once the biscuits cooled down enough I just drizzled over the chocolate and left to cool. Job done! This recipe was handed down from my husband’s granny (all the best ones are!) but I added 2 extra tsps of ginger and the chocolate. Previously I have added some chopped stem ginger which is yummy but requires a little bit more time than I had yesterday! i’ll be making these soon – thanks for the recipe!